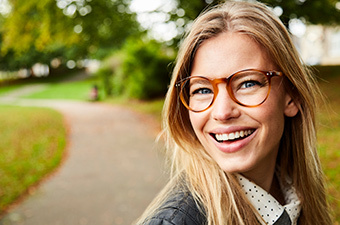 Shasta Professional Eyecare maintains the highest professional standards of service and technology. Our Doctors of Optometry and professional staff are continually pursuing training and education to provide our patients with state of the art vision care. We use cutting edge diagnostic equipment like our digital retinal camera, advanced visual field analyzer and Optical Coherence Tomography (OCT), to accurately diagnose and manage ocular diseases. SPEC has recently added Optomap. This technology is fast, painless and comfortable. Nothing touches your eye at any time. It is suitable for the whole family. To have the exam, you simply look into the device one eye at a time (like looking through a keyhole) and you will see a flash of light to let you know the image of your retina has been taken. Under normal circumstances, dilation drops might not be necessary, but your eye doctor will decide if your pupils need to be dilated depending on your conditions. The capture takes less than a second. Images are available immediately for review. You can see your own retina. You see exactly what your eye doctor sees-even in 3D animation. Some of the first signs of diseases such as stroke, diabetes and even some cancers can be seen in your retina, often before you have other symptoms. An optomap makes it easier to see them. An optomap is beneficial to your eye doctor at any age. In fact, many vision problems begin in early childhood, so it’s important for children to receive quality routine eye care. It is generally recommended that you have an optomap each time you have an eye exam, however that decision will be made by your eye doctor. The Doctors at SPEC also offer pre and post-operative management with the finest surgeons in refractive surgery, cataracts and many other ocular pathologies. If contact lenses are your desire, we offer all types of contact lens fittings including: cosmetic colors, special effects, astigmatism, correcting irregular corneas (i.e. keratoconus), multifocal and bifocal contacts. Shasta Professional Eyecare Center, Dr’s of Optometry, Inc.
© Shasta Professional Eyecare Center, Eye Doctor Services and Eyeglasses in Redding, also serving Anderson, Palo Cedro, and the surrounding Shasta County and Northern California area. Web Design and Development by Abra Marketing in Santa Rosa, California.